Anne-Marie Skov is responsible for Carlsberg's corporate communication activities, including investor and media relations, public affairs, and corporate branding and reputation. She also heads up the Group’s CSR activities. Prior to joining Carlsberg, Skov worked with the Novo Group for 18 years. 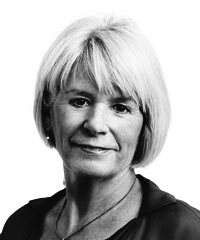 She joined Novo in 1986 as a communications consultant, was appointed Corporate Communications Manager in 1989, and was promoted to Director of Corporate Communications, Novo Nordisk in 1996. In connection with the demerger of Novo Nordisk, she was appointed Vice President and joined the Executive Management of Novozymes A/S as Vice President when the company was founded and publicly listed in November 2000. Skov is a board member of WWF-Denmark, The Tuborg Foundation, and BSR.